Pastor Jeff Williams graduated from Concordia Theological Seminary, Fort Wayne, Indiana, in 1992. 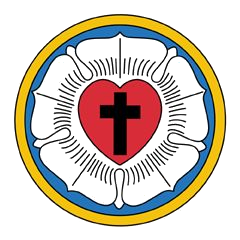 He has served as pastor at Trinity Lutheran Church, McFarland, Kansas; Grace Lutheran Church, McPherson, Kansas; Faith Lutheran Church, Denver, Colorado; and as associate pastor at Risen Christ Lutheran Church, Arvada, Colorado. He also served a long-term vacancy at Peace Lutheran Church, Saukville, Wisconsin, while called as an Associate Professor of Computer Science at Concordia University Wisconsin. Because Good Shepherd is a smaller congregation, Pastor Williams is a bi-vocational pastor or worker-priest. He is the proprietor of a company specializing in educational technology. He holds a Ph.D. in Education, granted in 2005 by Kansas State University, with an emphasis on educational technology. In addition to serving as a pastor, he also is a member of the Civil Air Patrol (Auxiliary United States Air Force). As a CAP member, he is assigned the duties of National Chaplain Corps Special Advisor for Information Technology, and the Rocky Mountain Region Chaplain, coordinating the Chaplain Corps activities in Colorado, Idaho, Montana, Utah, and Wyoming. Pastor Williams married Sally Jargick in December, 1970. They have two daughters, Dianna and Sarah.